Andy Woodworth is a librarian, blogger, and library issue activist. He is the Reference & Adult Services Supervisor in his hometown, the Cherry Hill Public Library in Cherry Hill, NJ. He is a 2010 Library Journal Mover & Shaker, a social media advisor to EveryLibrary, the nation's first library issue poltical action committee, and part of the editorial board for the Journal of Creative Library Practice, an open access peer reviewed academic journal. Andy has authored articles for Library Journal, American Libraries, TechSoup for Libraries, and has written guest columns for various non-library related websites. You can read his mostly professional sometimes personal blog, "Agnostic, Maybe" as well as follow him on Twitter (@wawoodworth). 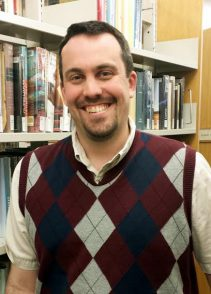 Andy is a member of NJLA's Intellectual Freedom Committee and the Reference Section.